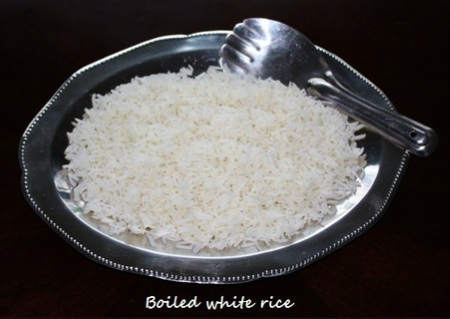 ﻿﻿Boiled white Rice is the most popular cooked Rice not only in India but all over the world. Rice goes well by itself or as a part of any meal. It is a vital part of any Indian meal. Rice is eaten every day with Indian meals especially with Dal’s (lentils), Curries, Sambar and meat dishes. Rice comes in many varieties but Basmati Rice is the best known Rice especially in North India. potatoes or pasta, and then drained in a colander. Covered Pan (or absorption) is where the Rice is cooked with a measured amount of water in a covered pan. 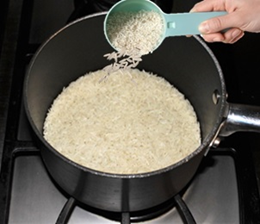 The rice absorbs the water completely and is not drained. swirling of your fingers, repeat until the water gets only slightly cloudy. 3. Once Rice are soaked drain the soaking water out and wash in running water. butter to give the flavor..
5. 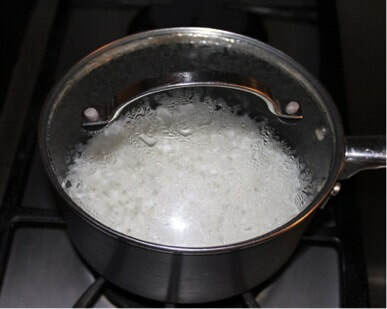 Water will start boiling in 7 to 8 minutes, let the Rice boil for 2 to 3 minutes. Water will reduce slightly, turn the heat down to low. 5 to 6 minutes. Keep the heat to low. 7. Check the Rice if they become tender. Cover the lid. the lid on, for at least 6 to 8 minutes. 9 Take the cover off and fluff the Rice gently with a fork. and rice will look mushy. 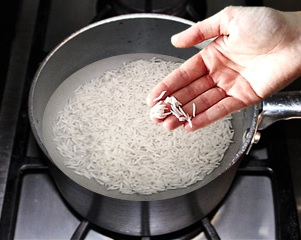 moisture helps to give rice uniform texture. 4. 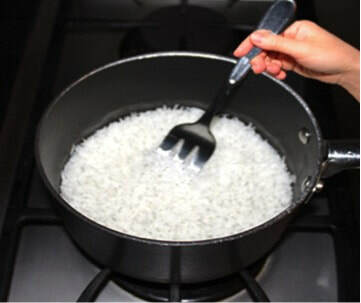 For every cup of rice, add 2 cups water.